In today’s world when people are highly dependent on Internet for each and every work. Advanced technology has made work and life much easier. People are addicted to use of internet 24/7, sometimes for them travelling become difficult without internet connections on their laptop and tablets in such case, data card recharge will prove to be best for the usage. This easy to carry portable device has made use of internet quite easy while travelling. Data card offers easy and fast access wireless data at lower rates and became choice of many people, which basically works on recharge system. To enjoy the uninterrupted internet services you need to recharge these data cards from time to time and if you are wandering for easy and reliable recharge options then online stores will be the best options to go for. Stores like Paytm, Freecharge, Mobikwik and many others brings you recharge offers of operators like BSNL, Airtel, MTNL, Photon, Jio, IDEA and many others at minimal range and money saving plans. Recharge DataCard online and earn up to Rs.20 cashback. Minimum recharge should be Rs.200 or more. Enter the promo code at the time of checkout. Coupon code can be used ten times. Cashback will be credited to your rechargeADDA account within 24 hours. These electronic cards perform data operations such as transformation, input, output, storage, and transfer. These smarties designed cards connect users to the internet. The best thing is you can carry these cards anywhere anytime, these cards will offer you with uninterrupted services and easier life. You can use these data cards for all your net surfing needs such as emails, social networking, online chat, downloading data, online games and other services. 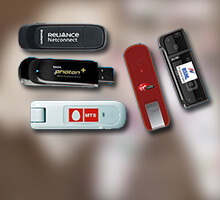 You can get data card services of operators like BSNL Data Card, Reliance, Net connect, MTNL Data Card, Tata Photon and MTS which let you enjoy data services with the high-quality network. Well, the online stores not only made easy for you to purchase these data cards but these cards are easily recharged at these online portals just sitting at your home. You can choose your services from the given plans 6 Month Pack, Annual Pack, Monthly Pack or a 3 Month Pack and recharge with one that you need. These modern data cards are not only tech-savvy but their hassle-free operations make them admired by the users. 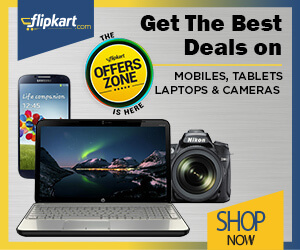 So, for enjoying unlimited money saving options get your recharge from these online stores and save your money. Ways to recharge data card online? Enter a number of your prepaid data card. Enter the amount for your recharge. Pick data card discounts and codes of you choose and while making the payment through secured methods like credit card, debit card, Net banking or Paytm Wallet, Apply the code that best suits your plan and check out. You are done with your recharge. Online stores like Paytm, Freecharge, Mobikwik, Rechargestore, Recahrgeitnow and many others offer you with easy and an affordable recharge of operators like Tata photon plus, RelianceNet connect, MTS MBrowse, MTS Mblaze, Airtel, BSNL, MTNL Delhi, Vodafone, Aircel, Idea, Tata Photon wiz, Reliance GSM, T24. The mobile app of these online recharge stores that easily run on all possible OS like Android, Windows, BB, and iOS keep it customers notify with the data card recharge coupons and various money-saving offers that will let them save money on their online recharges. Further while getting your recharge done from these online stores you will least bother with time unlike physical stores, so these online platforms bring you with all the comfortable services that best suits your recharge option and let you enjoy data card services.